A group of master students from Switzerland want to solve a common wheelchair problem – the difficulty in using a wheelchair to climb stairs. The Scewo wheelchair uses rubber tracks to safely climb staircases and is even stable enough for spiral staircases. The designers behind the one-of-a-kind wheelchair plan to bring it to market by the end of 2018. 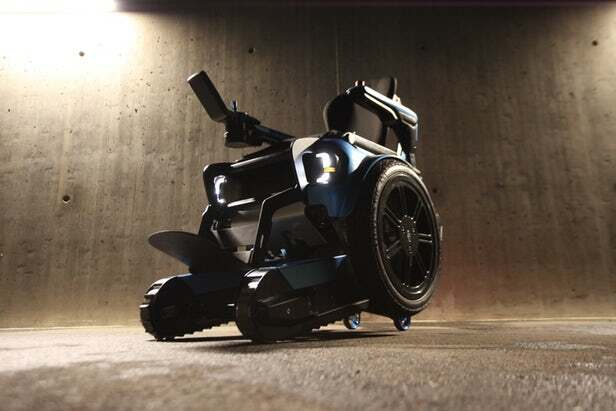 The electric, stair-climbing wheelchair has self-balancing technology to make it easier for the user to rotate on the spot and to drive over curbs without getting stuck. The sleek and minimally designed Scewo is compact in size, making it possible to move around even in tight spaces. 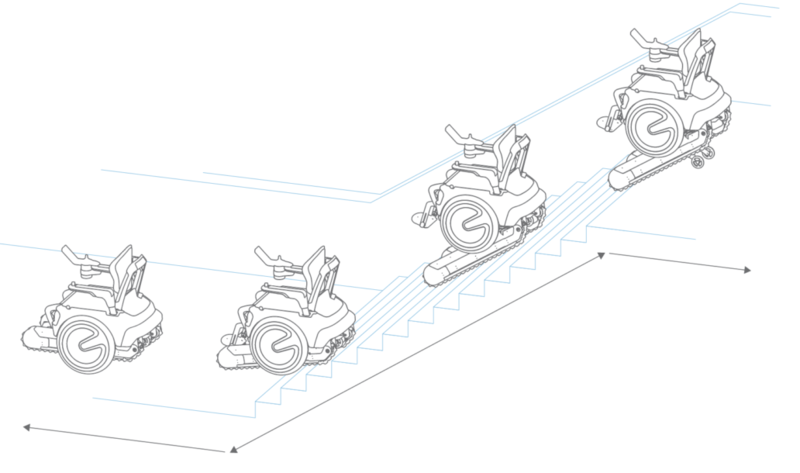 Stair Mode is activated with the push of a button – the wheelchair will lower a set of rubber tracks that can quickly move the user up and down most staircases. The very wide base of the rigid tracks allows it to be stable even on spiral staircases. 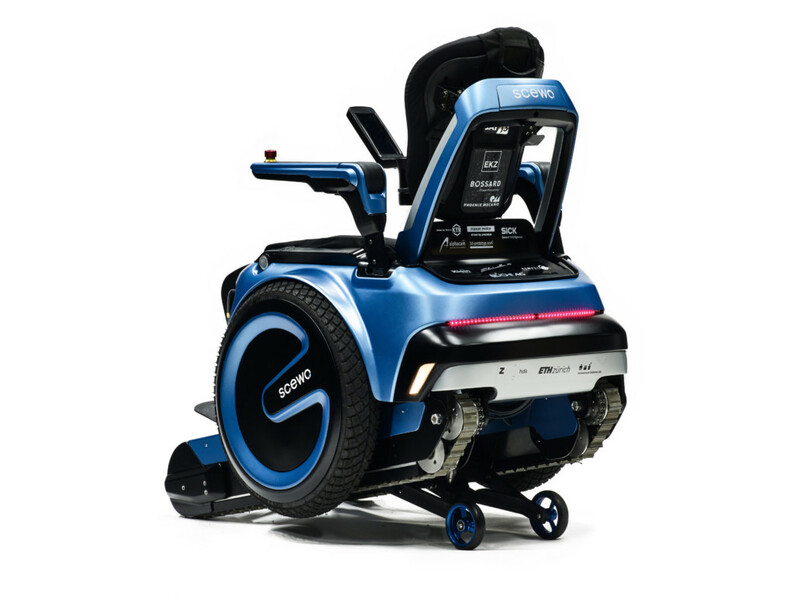 In addition to Driving Mode and Stair Mode, the Scewo also features an Elevated Mode that rises the wheelchair up to enable eye-to-eye communication and allows for reaching of higher lying objects. Whereas in Track Mode, the tracks are lowered to the ground for increased traction and can help when navigating slippery surfaces and bigger obstacles. 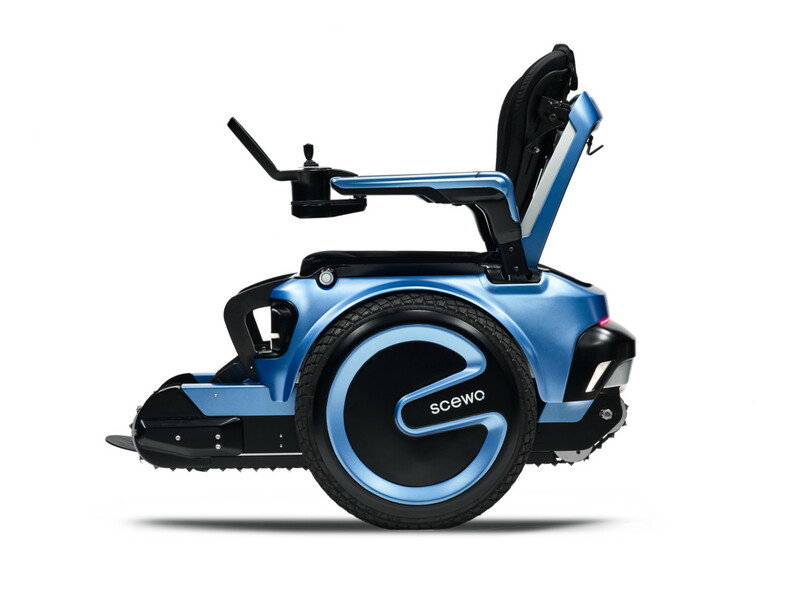 The designers behind the Scewo are master students from the Swiss Federal Institute of Technology who believe they have built the wheelchair of the 21st century, “The same electric wheelchairs were sold to disable people for years, whereas everything else like smartphones, electric cars, drones, even robotic vacuum cleaners improved. Our goal is to combine the new technologies and an aesthetic design to develop a new generation wheelchair. It will give back enjoyable and flexible mobility to those in need and lets them engage wherever life takes them.” Their project originally started as just an educational project in 2014 and has surely come a long way. The first prototype, Scavelo, received immense feedback and inspired the students to turn their educational project into something more. Fast forward to 2016, the year the team of students entered the Cybathlon Competition and received even more constructive feedback on their 21st century design. Currently, the team is using years of feedback to improve the Scewo and hope to have it produced in numbers by 2018. If you would like to support their project, visit their Patreon site.